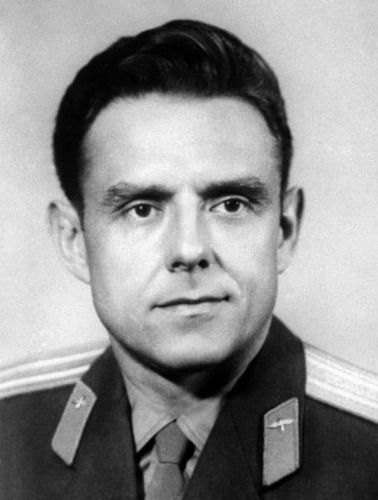 Vladimir Komarov – Russian Cosmonaut in Soyuz 1 and very brave man – First human to die in spaceflight. Komarov was selected to command the Soyuz 1, in 1967, with Yuri Gagarin as his backup cosmonaut. During the preparations for the spaceflight, both cosmonauts were working 12-to-14 hour days to prepare for it. On orbital insertion, the solar panels of the Soyuz module failed to fully deploy, thereby preventing the craft from being fully powered and obscuring some of the navigation equipment. Komarov reported: “Conditions are poor. The cabin parameters are normal, but the left solar panel didn’t deploy. The electrical bus is at only 13 to 14 amperes. The HF (high frequency) communications are not working. I cannot orient the spacecraft to the sun. I tried orienting the spacecraft manually using the DO-1 orientation engines, but the pressure remaining on the DO-1 has gone down to 180.” Komarov tried unsuccessfully to orient the Soyuz module for five hours. The craft was transmitting unreliable status information and communications were lost on orbits 13 through 15 due to the failure of the high frequency transmitter which would have maintained radio contact whilst the craft was out of range of the ultra-high frequency (UHF) receivers on the ground. 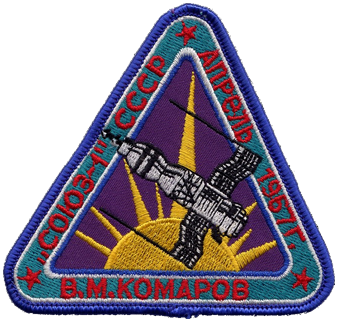 As a result of the problems with the craft, the second Soyuz module which was to have carried cosmonauts to perform an extra-vehicular activity (EVA) to the Soyuz 1 was not launched and the mission was cut short. Komarov was ordered to re-orient the craft using the ion system on orbits 15 through 17. The ion engine system failed. Komarov did not have enough time to attempt a manual re-entry until orbit 19. Manual orientation relied on using the equipped Vzor device, but in order to do this, Komarov needed to be able to see the Sun. To reach the designated landing site at Orsk the retro-fire would need to take place on the night side of the Earth. Komarov oriented the spacecraft manually on the dayside then used the gyro-platform as a reference so that he could orient the craft for a night side retro-fire. He successfully re-entered the Earth’s atmosphere on his 19th orbit, but the module’s drogue and main braking parachute failed to deploy correctly – when preparing the ship, the heat shield was made thicker and therefore heavier, and the main parachute similarly larger. The container where it was kept was not enlarged, and the main parachute had to be hammered inside with wooden hammers. Komarov then activated the manually deployed reserve chute, but it became tangled with the drogue chute, which did not release as intended. As a result, the Soyuz reentry module fell to Earth in Orenburg Oblast almost entirely unimpeded, at about 40 m/s (140 km/h; 89 mph); Komarov died on impact. At impact there was an explosion and an intense fire that engulfed the capsule. Local farmers rushed to try to put it out. 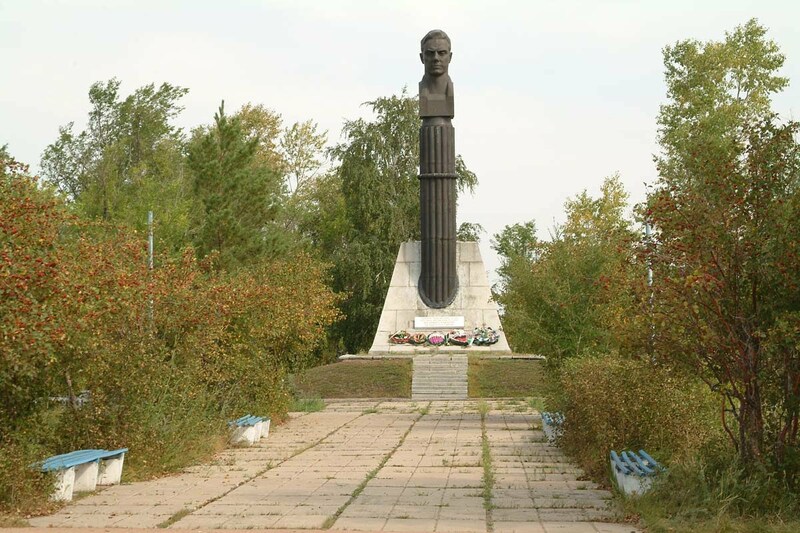 The Soyuz 1 tragedy delayed the launch of Soyuz 2 and Soyuz 3 until October 25, 1968. This eighteen-month gap, with the addition of the explosion of an unmanned N-1 rocket on July 3, 1969, scuttled Soviet plans of landing a cosmonaut on the Moon. The original mission of Soyuz 1 and Soyuz 2 was ultimately completed by Soyuz 4 and Soyuz 5. A much improved Soyuz program emerged from this eighteen month delay, mirroring the improvements made in Project Apollo after the Apollo 1 tragedy. Although it failed to reach the Moon, the Soyuz went on to be repurposed from the centerpiece of the Zond lunar program to the people-carrier of the Salyut space station program, the Mir space station, and the International Space Station. Although it suffered another tragedy with the Soyuz 11 accident in 1971, and went through several incidents with non-fatal launch aborts and landing mishaps, it has become one of the longest-lived and most dependable manned spacecraft yet designed. Komarov is commemorated in two memorials left on the Lunar surface: one left at Tranquility Base by Apollo 11, and the Fallen Astronaut plaque left by Apollo 15.